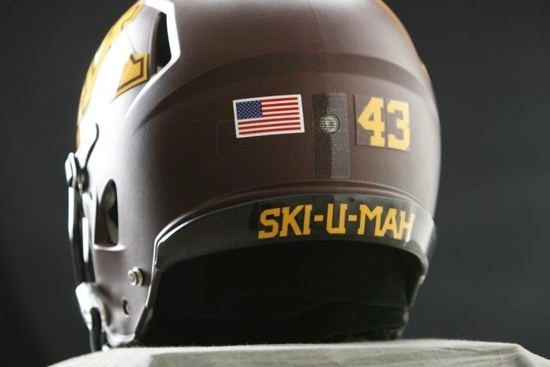 The University of Minnesota football team will have a new look when it takes the field for the 2012 season-opener Sept. 1 at UNLV’s Sam Boyd Stadium. 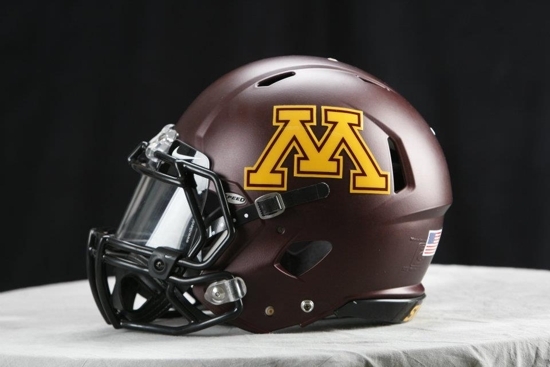 The Gophers will be wearing newly-designed uniforms by Nike. Those uniforms will be unveiled during an event at TCF Bank Stadium in mid-January. 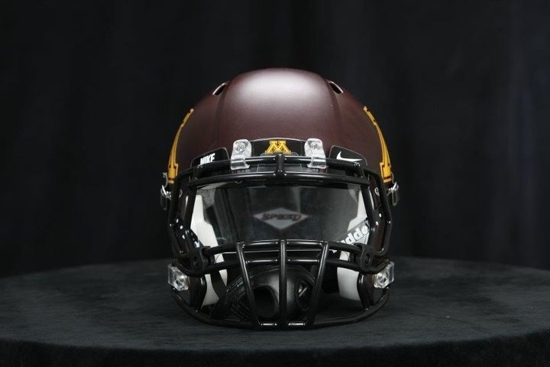 However, the new-look helmets that will go with the Gophers’ new uniforms are being introduced today, Dec. 19. 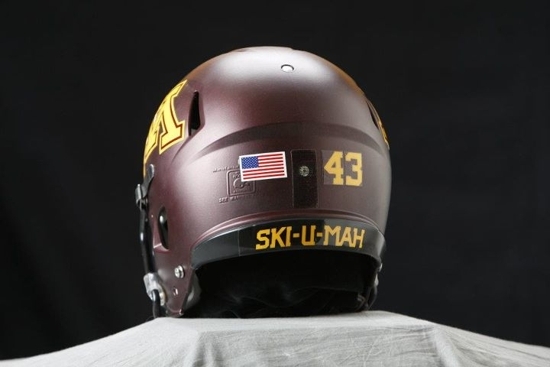 Minnesota’s new helmets feature a textured maroon finish, the Gophers’ traditional Block M helmet decal, black facemasks, black chinstraps, a Block M above the facemask, each player’s uniform number on the back of the helmet and the traditional Minnesota cheer “Ski-U-Mah” on the back of the helmet. The equipment staff worked closely with Nike to come up with all the design elements. “Josh Iverson with Nike did a great job working with our color scheme and researching our past history to come up with the design details for the new helmet and uniforms,” Gergely added.